Luke and Emma McEwen gave fair warning that they will (again) be the team to beat if you have hopes of winning any titles on the RS800 race circuit this year. 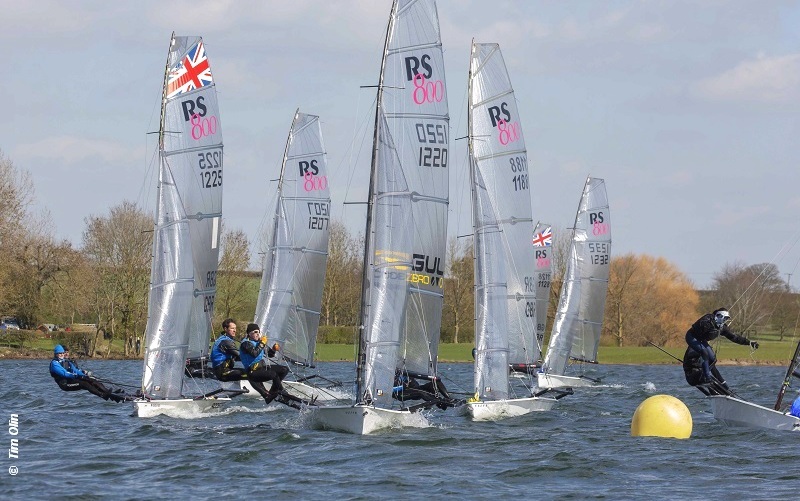 After warming up with a couple of second places in the decidedly flukey opening races, they then took four consecutive wins to wrap up their first title of the season – The Spring Open at Rutland & Rooster 2019 National Tour No.1. The McEwen’s had a 12 point buffer back to second placed Ralph and Sophie Singleton, with Hugh Shone and Hannah Tattersall a further point back in third place. If you fancy an RS800 20th anniversary special edition t-shirt – they are available to buy here.